This is a PSP 2000. Hiding under it is a PlayStation Vita. An actual Vita, not a fake one. The Vita was running Hot Shots Golf, but you can't see that. 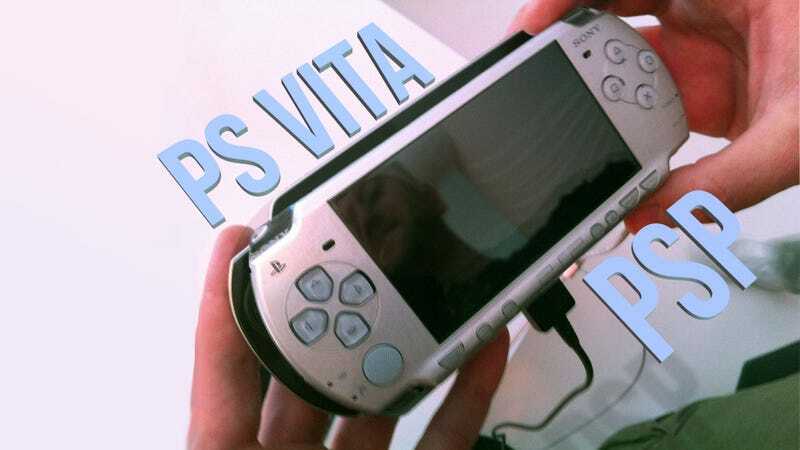 You can only see two things: 1) The Vita, impressive futuristic gaming handheld that it is, isn't much bigger than a PSP 2) that there's Joel Johnson holding this PlayStation Sandwich.